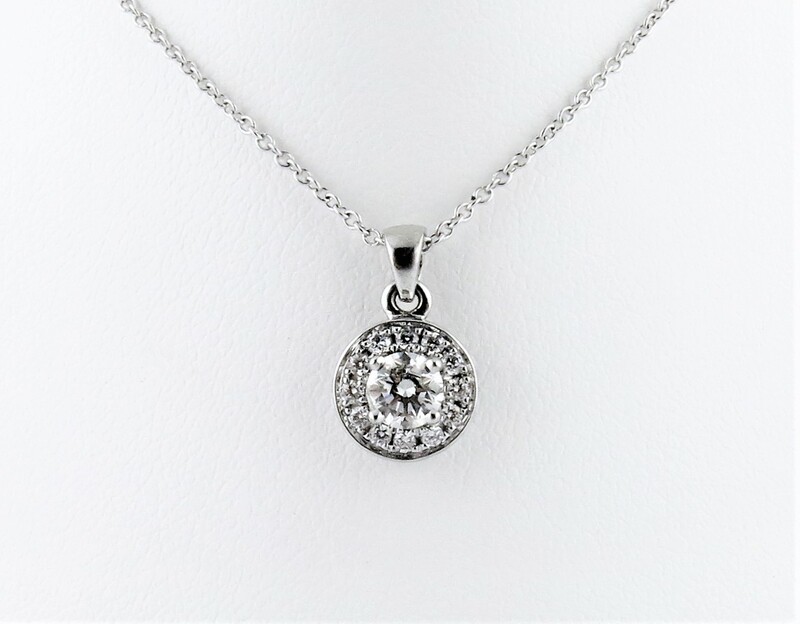 Beautiful 14kt white gold halo style pendant with 13 round brilliant cut diamonds, total weight .37 carats, color G/H, clarity VS2/SI1. Chain not included. Can be set with a different gemstone in the center. Also, different sizes and metal choices available. Please inquire for details.